The diversity of antigen-binding structures of antibody molecules is so vast that every conceivable antigen can be bound by an antibody molecule within the immune system. This is true even for the antigen binding sites of antibodies called idiotypes, which are bound by complementary bind- ing sites of other antibodies called anti-idiotypes. Thus, anti-idiotypes are structural homologues of antigens. These idiotypic-anti-idiotypic interactions constitute a network within the immune system. Since one lymphocyte produces only one type of antibody molecule, this network is in fact a network of cells. We expect that the network is functional: the appearance of antigen will disturb the equilibrium of the network at the point where it competes with the anti- idiotypic lymphocyte for binding to the idiotypic lympho- cyte. It has been known for quite some time that anti- idiotypic antibody can be used to prime the immune system for memory to an antigen that it has never seen. This phe- nomenon is now being explored for possible use in immuni- zation against viruses, bacteria, parasites and tumors as well as for the modulation of autoimmunity. The ability of anti-idiotypes to mimic, both antigenically and function- ally, the corresponding biologically active molecules seen by an idiotypic antibody was first demonstrated for the hormone insulin and is now being observed in many other systems. 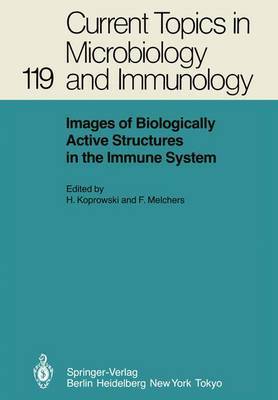 The papers assembled in this volume* bring the reader to the cutting edge of the potential practical applica- tions of the network theory of the immune system.